Experience priority status and a world of rewarding privileges wherever and whenever you travel. Top up your BIG Points with a complimentary Welcome Points Bonus as well as quarterly bonuses that will set you on your way to your dream destination. Welcome and Quarterly bonuses of up to 25,000 Bonus BIG Points in your first year: Free flights when you want them, where you want them! Great news. Top up your BIG Points with our complimentary Welcome Gift and quarterly bonuses. As a new AirAsia Platinum credit cardholder, you&apos;ll receive a Welcome Bonus of 5,000 BIG Points when you spend a minimum of RM2,500 in the first 60 days from your credit card approval date and as an AirAsia Gold Credit cardholder you also benefit from a Welcome Bonus of 3,000 BIG Points based on spending over RM1,500 in the first 60 days from your credit card approval date. Added to this, as an AirAsia Platinum credit cardholder, you&apos;ll be entitled to a quarterly bonus of 5,000 BIG points based on retail spend of RM5,000 or more each quarter, meaning an extra 20,000 BIG Points throughout the year. For the AirAsia Gold Credit Card, you will also be able to benefit from the quarterly bonuses where you will earn an extra 3,000 BIG Points each quarter (12,000 extra BIG Points a year) when you spend RM3,000 or more each quarter. You can either use your 25,000 BIG Points for free flights or continue collecting BIG Points for that dream holiday. Remember earning BIG Points gives you the freedom you need to book the flight you want, when you want it and where you want it subject to availability. Maximum flexibility with no hassle. How many airline credit cards offer that! Earn up to 6x Big Points on your daily transactions: Easy to earn, get points quicker! It doesn&apos;t take much to start earning your way towards free flights. With a combination of great low spend and high earn rate you can really get your BIG Points balance growing. 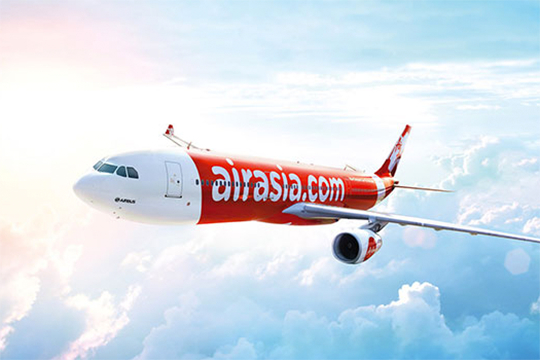 You can earn 6 BIG Points for every RM1 spend on AirAsia flights and purchases. Plus, earn 1 BIG Point with every RM3 spend on local transactions for AirAsia Platinum credit cardholders and RM5 in local spend for AirAsia Gold Credit cardholders. And, earn 1 BIG Point for every RM2 spent overseas. So, however you decide to use your card, you&apos;ll be adding to your BIG Points balance to take you on that special break. Skip the lines and be the first to check-in, board and collect your baggage so you can be on your journey sooner. You&apos;ll just need to book online on the AirAsia website and use your BIG Loyalty membership ID so you can enjoy these great benefits! 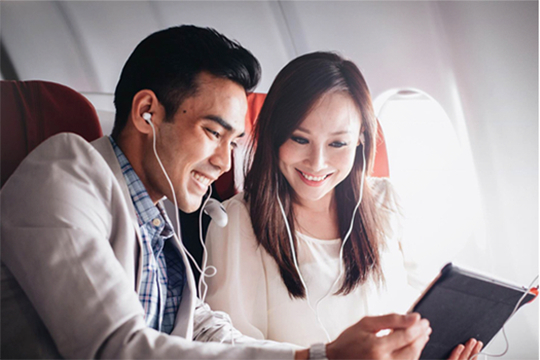 You&apos;ll take priority when you fly with AirAsia. As a holder of an AirAsia Platinum Credit Card, you will be able to check-in first using designated counters where available, and then be one of the first to board the plane with Priority Boarding. Added to this fantastic benefit, you will also have the privilege of Xpress Baggage, so you&apos;ll be picking up your bags and getting on your way faster and be able enjoy your free time sooner. 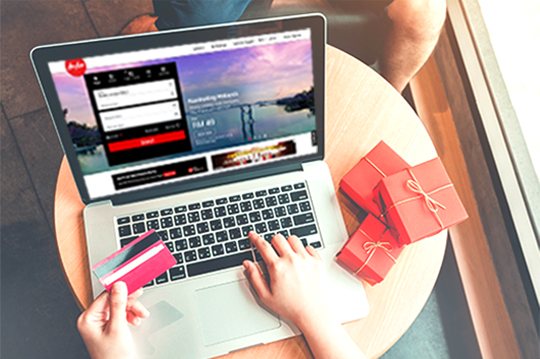 Make sure you remember to book your flights using the AirAsia website and use your BIG Loyalty membership ID! Enjoy an instant upgrade to the Platinum membership status in BIG Loyalty&apos;s Freedom Flyer Programme, which gives you priority access to the AirAsia sales and earnings of up to 7X BIG Points every time you fly. Earning BIG Points gets even quicker as you&apos;ll earn up to 7X times more by being awarded instant BIG Platinum membership status. There&apos;s no annual fee for the BIG Platinum. And instead of having to take 24 flights to gain status, as a new AirAsia Platinum credit cardholder, you&apos;ll instantly get the benefits. To maintain status after the first year, all you&apos;ll need to do is spend a minimum of RM20,000 with your AirAsia Platinum credit card in the preceeding 12 months. and 21 years old or over. Enjoy up to 7X Big Points per RM1 spent on flight bookings allowing you to earn BIG Points faster!